Shimano Steps Dealer Training Goes Europe-Hangzhou BTN ebike technology Co.,Ltd . NUNSPEET, the Netherlands �C Following the success of Shimano Steps and the growing number of OEMs specifying this e-bike drivetrain system the component supplier will organize a series of dealer training events Europe wide in cooperation with its distribution partners. 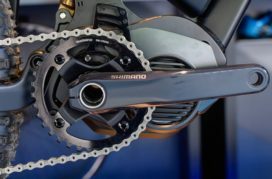 According to Shimano Benelux, “the introduction of the new E-8000 system for e-MTBs requires specific know-how for retailers to provide the best possible support and service to their customers. Therefore it is important for bicycle retailers and their employees to be informed about the maintenance and service fulfilment of Shimano Steps.” The purpose of the training is to inform the participants about the products and the use of the e-tube software; service and warranty procedure as well as an update for model year 2017. Shimano sales offices and distribution partners in the Benelux countries (Shimano Benelux), Germany (Paul Lange), Switzerland (Fuchs Movesa) and Spain (Macario) have announced training dates from December, whilst other sales offices and distribution partners across Europe will follow up with dates in the new year. Shimano points out that the workshops will be based on the E6000 and E8000 systems. The instruction is well suited for employees who have not been trained previously, as well as for employees who already attended a Shimano Steps workshop. Pre：EU To Change Anti-Dumping Rules; New Term for China Made Bikes?